Huawei just reached a major milestone, passing Apple to become the world's second largest Smartphone seller. The Chinese Smartphone maker sold around 54 million phones last quarter, up more than 40% compared to the same period last year, according to research firms IDC, Canalys and IHS Markit. That was enough to not only beat Apple (AAPL), but also narrow the gap with market leader Samsung (SSNLF). Samsung sold more than 70 million phones last quarter, down about 10% from the same time last year. "The continued growth of Huawei is impressive, to say the least, as is its ability to move into markets where, until recently, the brand was largely unknown," IDC analyst Ryan Reith said in a statement. Huawei has leapt into second place despite being virtually locked out of the world's biggest economy. The Chinese smartphone and telecom equipment maker has struggled to gain a toehold in the United States, mainly because of official concerns that its technology could be used by the Chinese government to gather intelligence. 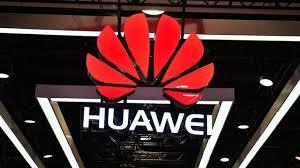 Huawei has repeatedly denied that its products pose security risks.